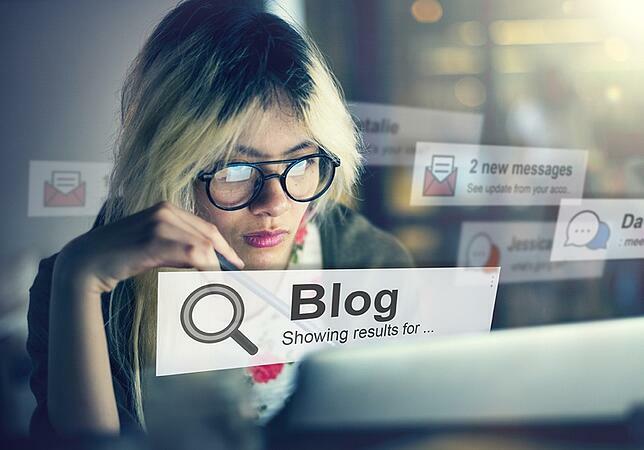 Blogging is one of the most important, informative, educational and interactive components of a content marketing system. However, companies often face a challenge when trying to find someone who possesses company and solution expertise, along with excellent writing skills. The best place to start is to find people who have a natural desire to write. You could hold a meeting or send out a memo inviting interested bloggers to talk with you. Ideally, you get plenty of interested and anxious writers who want to talk about their roles in your business. If blogging is integral in your content marketing, a long-term strategy is to include writing skills in job applicant screening. When hiring someone into a position where periodic blog posts are expected, include that in the job description. Find out what prior experience a candidate has. You could even request a writing sample or assessment within the screening process. Assuming you don't have a budding army of people who turn up when you sound the call, make your recruitment more assertive. It takes more than expertise to get someone excited about blogging; it takes true passion. If you desire to build a team of internal bloggers, start by identifying areas of passion for your employees. You may already know some of them. Spark informal conversations with employees about the things they enjoy most in their jobs to grow awareness. Another approach is to ask people what aspects of your company or solutions they enjoy explaining to other people the most. A conversation down this path offers insight into topics employees might like explaining or covering in writing as well. Quality writing in reports, memos or e-mails are a potential catalyst to broach blogging with a prospective writer. Many people who enjoy writing aren't as inclined to routinely come up with new blog topics. It isn't a good strategy for you to allow a team of writers to pen random articles on non-aligned topics anyway. Your topics and titles should coincide with your content marketing and message strategies, search and keyword objectives, and content calendar. Tip: Consider creating a content strategy that relates to the triggers that cause your prospect to invest in addressing a business issue and align with the topics that they would search to research solutions. New writers are typically more comfortable when you supply them with steady topics centered on their natural interests and passions. For people who desire some input, allow them to come up with titles and descriptions that fit into topic or keyword lists. Schedule your content calendar several months in advance. This eliminates uncertainty and lets each blogger know what is expected of him or her. It is important to maintain a consistent blogging schedule to fit with your content strategies and to meet Google's standards for freshness. However, your goal early on should be cultivating the passion for the blogger to write. If you hit new writers hard with deadlines and time pressure, you will probably squelch their fire pretty quickly. As time goes on and you identify which writers are more capable and reliable, you can create schedules to match writing habits. It is also easier to enforce deadlines after a blogger is well-established. Sometimes you have to let someone ease into the role of blogging before deciding whether he or she can deliver efficient, effective content. You need to train and coach people in a blogging role just as you do other job functions or roles. This point is especially true with people who have never written in a professional position. Develop an effective training and orientation program for new bloggers. Include an overview of how their roles fit into the company's content marketing objectives. Show your writers examples of other industry blogs that mirror the type of format and content you want. Offer effective tutorials and reading material on the important topics in content marketing, such as article formatting, search engine optimization, technical writing requirements and calls to action. Equip your team of bloggers with easily accessible resources. Trying to remember everything learned while crafting the first posts is difficult. In addition to handouts, online resource reservoirs are a great idea. A template that simplifies formatting is also helpful. Allow the blogger to focus on developing great content rather than trying to remember where every element of the post goes. Building confidence is important when trying to cultivate someone in any new role. Don't focus on small details with the first few blog posts. Emphasize the development of quality content that matches the basic goals and requirements of your content system. Reinforce the confidence and capabilities of the professionals to turn knowledge and passion into a valuable blog post. After you realize that a blogger has long-term value, and have reinforced that point to him or her, you can work in more constructive feedback. However, always maintain a positive tone. If your feedback turns too negative, you cause the person to wonder why he or she would dedicate time to blogging rather than just focusing on primary job responsibilities. Of course, you will want the published blogs to be free from grammatical errors and well written, therefore, consider assigning one of your best writers as the blog editor to ensure the published quality is up to the standards of your corporate brand. Make feedback clear and actionable. Vague or general notes are hard for inexperienced bloggers to comprehend and react to. Offers specific directions on improvements and deliver your message in person, especially at first. Allow the writer to ask questions that clarify uncertainties and allow you opportunities for more in-depth coaching. To cultivate internal bloggers, you must first build a team of people interested in taking on the challenge. An open call for interested writers is a good starting point, but you may have to assert yourself more and identify passions that could be shared through writing. Allow your bloggers to focus on quality content with clear schedules and topic lists. Train and coach as you would with other new job roles, and build confidence as a priority during early content reviews. Read our White paper: Stand Out From The Crowd: 24 Inbound Marketing Tips To Set Your Company Apart for more insights on succeeding with content marketing!